Brazil’s public prosecutor wants to suspend use of glyphosate, the active ingredient in Monsanto’s pervasive herbicide Roundup. A recent study suggested glyphosate may be linked to a fatal kidney disease that has affected poor farming regions worldwide. The Prosecutor General’s office is also pursuing bans on the herbicide 2,4-D and seven other active herbicide ingredients in addition to glyphosate: methyl parathion, lactofem, phorate, carbofuran, abamectin, tiram, and paraquat. The two actions have already been filed with Brazil’s justice department. The prosecutor is also seeking a preliminary injunction that would allow the Ministry of Agriculture, Livestock and Supply to suspend further registration of the eight ingredients until ANVISA can come to a conclusion. The country’s National Biosafety Technical Commission has been asked to prohibit large-scale sale of genetically modified seeds resistant to the 2,4-D as ANVISA deliberates. Last week, Brazil’s Federal Appeals Court ruled to cancel use of Bayer’s Liberty Link genetically-modified maize. 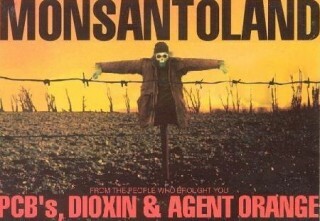 Earlier this month, France banned the sale, use, and cultivation of Monsanto’s genetically-modified maize MON 810. New research found insects in the United States are developing a resistance to the genetically-engineered maize. As for glyphosate, new research suggests it becomes highly toxic to the human kidney once mixed with “hard” water or metals like arsenic and cadmium that often exist naturally in the soil or are added via fertilizer. Hard water contains metals like calcium, magnesium, strontium, and iron, among others. 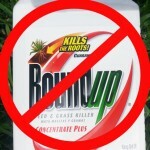 On its own, glyphosate is toxic, but not detrimental enough to eradicate kidney tissue. Two weeks ago, Sri Lanka banned glyphosate given the links to an inexplicable kidney disease, Chronic Kidney Disease of Unknown etiology, known as CKDu, according to the Center for Public Integrity. CKDu has killed thousands of agricultural workers, many in Sri Lanka and El Salvador. El Salvador’s legislature approved in September a ban on glyphosate and many other agrochemicals, yet the measure is not yet law. Dit artikel is geplaatst in News en getagged ban, change, food, Garden, Health, monsanto, natural, organic, roundup, science, understanding. Bookmark hier de permalink.